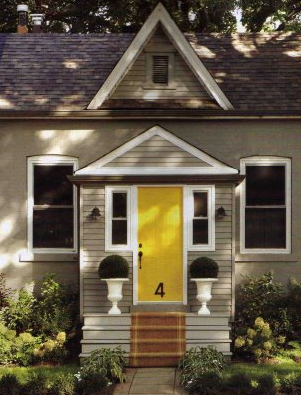 I am looking forward to tackling a project when my son starts back to school: I’m hoping to jazz up my home with a new front door.We live on the edge of suburbia and our house is pretty ho-hum from the outside. Nothing at the big box stores looks good to me – thoughts? 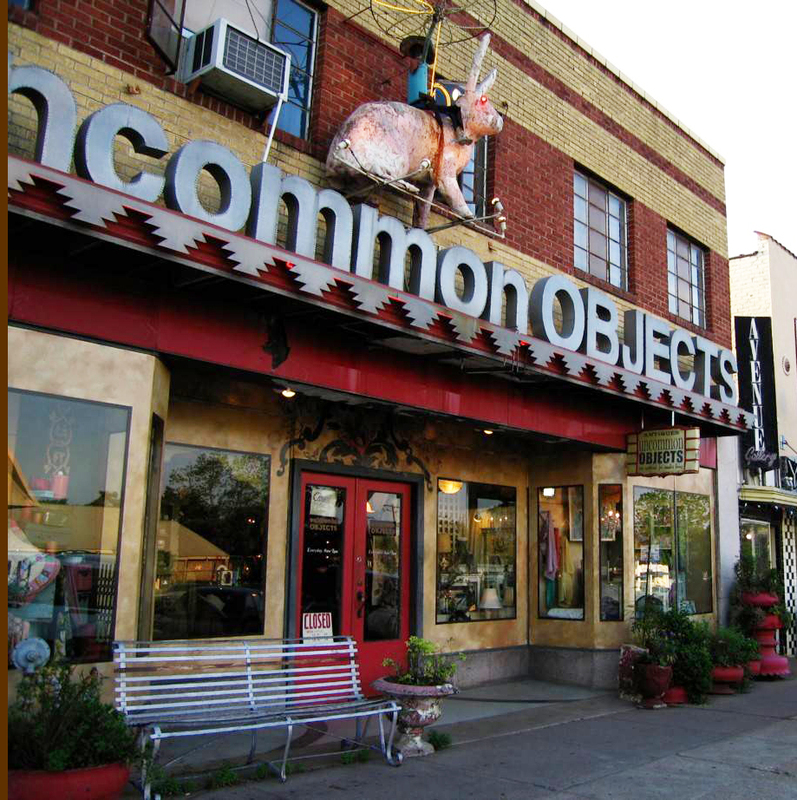 Habitat Resource @ 310 Comal on Austin’s east side. 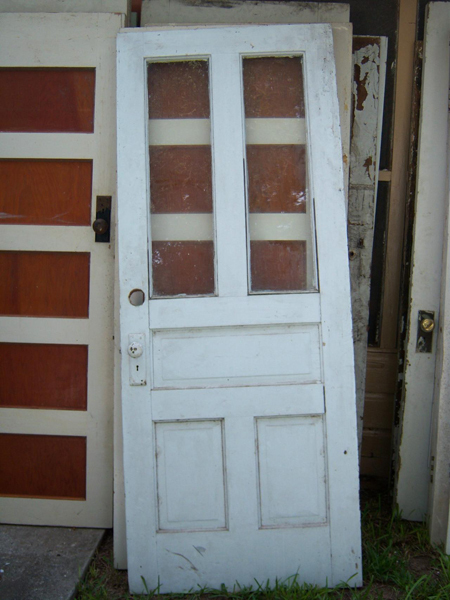 Here you can do good while you do well, by finding used doors at deep discounts. Carefully look at your selection before you commit – make sure there is no dry rot or other problematic bits! 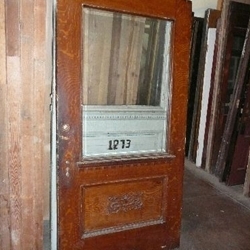 This door is from Discovery Architectural Antiques in Gonzales, TX. The website states they have over 5000+ doors and over 140,000 square feet of showroom and storage. On sale for $895, usually $995. Anyone for a field trip? Don’t forget to review Misty’s post on How to Shop Vintage before you head out! 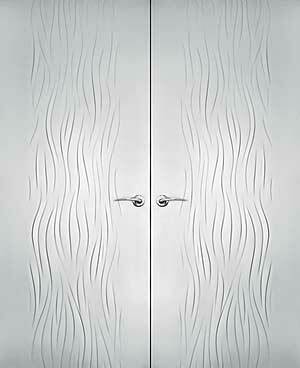 You can order custom residential doors from big time designer resource, Forms+Surfaces. 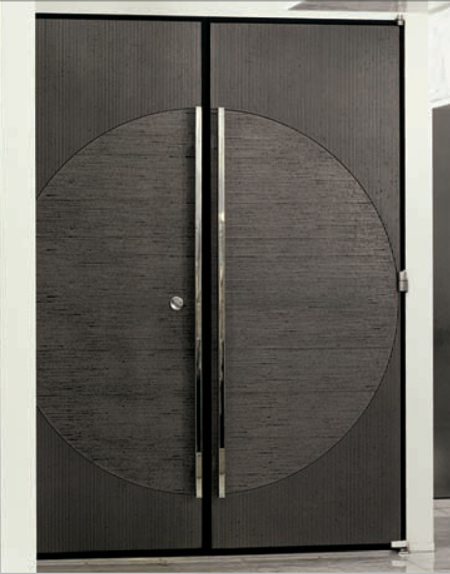 They will come with a big time price tag too, but you can have a door like no one else’s! 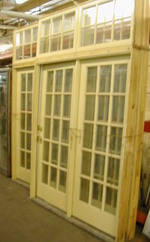 Local door maker Crestview Doors has lovely options for our hip local architecture. 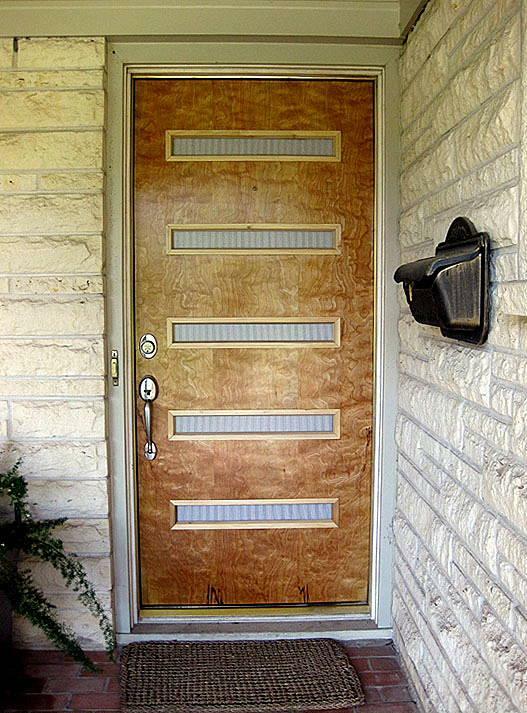 If you’d like to try one on for size, we can photoshop a door of your choosing into a photo of your house! 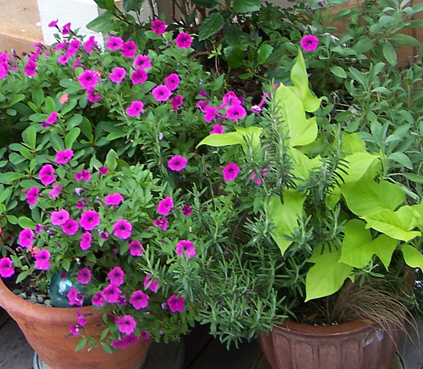 It’s a quick easy job and it won’t hurt the pocketbook (and may keep you from dealing with a disgruntled spouse). 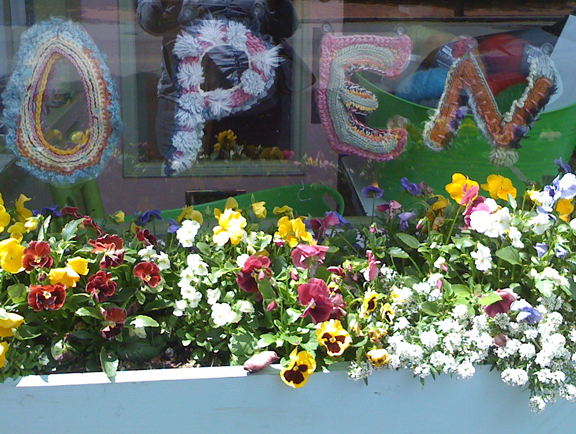 And one last ‘door’ for inspiration – this will be the subject of a future blog on transitional space. Dean/Wolf Architects created this partial wall of glass and engineered it to swing out, allowing a big fresh whoosh of access to the outdoors. 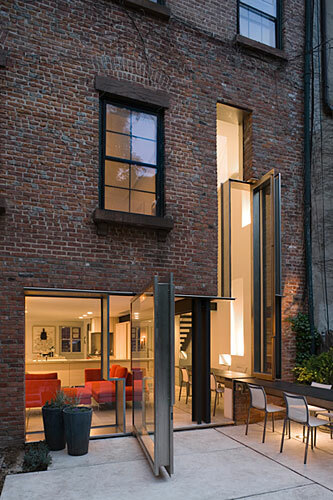 All this in an existing traditional townhouse in Brooklyn Heights, New York! Does it make you think about the possibilities?